Thank you! It really is. I wrote to him back in 2012 I believe and didn't tell anyone because I didn't expect to get a reply. I included a stamped addressed envelope (So they didn't have to pay for the stamp to return it) with my name and address in my own hand. And that was it, posted it and forgot about it. Then I went to Paris I think it was with my family for a few days, and when I got home there it was, waiting for me. The stamped addressed envelope with my name and address written in my own hand. I knew instantly that it has in the very least had been received. So this was a great pleasure and something I hold very dear. Very very glad I did it. A couple pieces, well two actually. 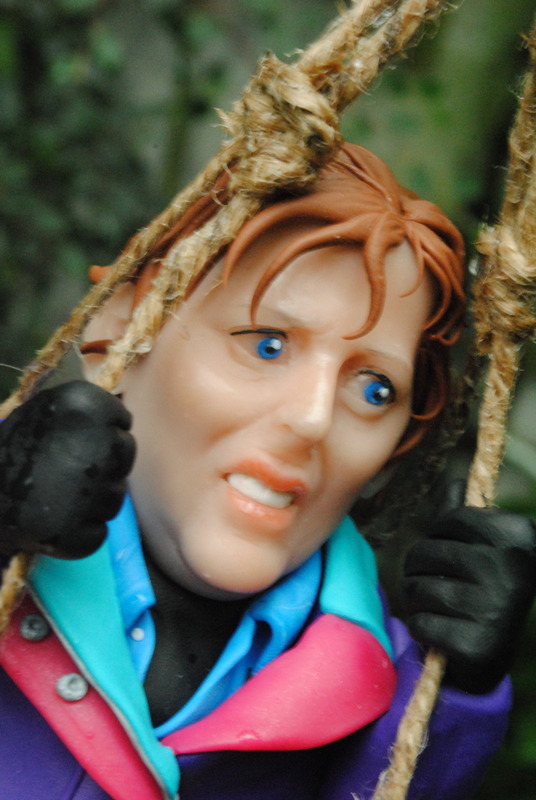 First up, Gillian Anderson as Scully from The X Files, based on how she looked in the episode Darkness Falls, where she is hoisted up into a tree to examine a massive Human-sized cocoon. Bit of fun, and terribly frustrating too. The making of the "rope" rigging was really fun I have to say, just usual hairy string which I stapled into a really basic cardboard rig to keep them tawt and then painted with PVA glue to smartened them up and give them some rigidity. Wasn't too sure it would work to be honest, but it did brilliantly. 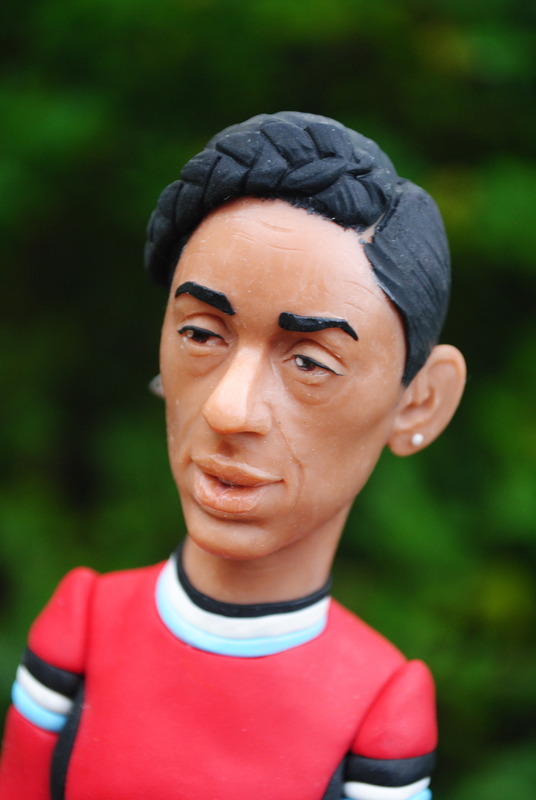 The frustration came from the actual likeness, it worked nicely, until I baked it when it rolled over and squashed the nose which really annoyed me. Sad really. I tried to save it and just about managed it, but it lost the subtlety it originally had. 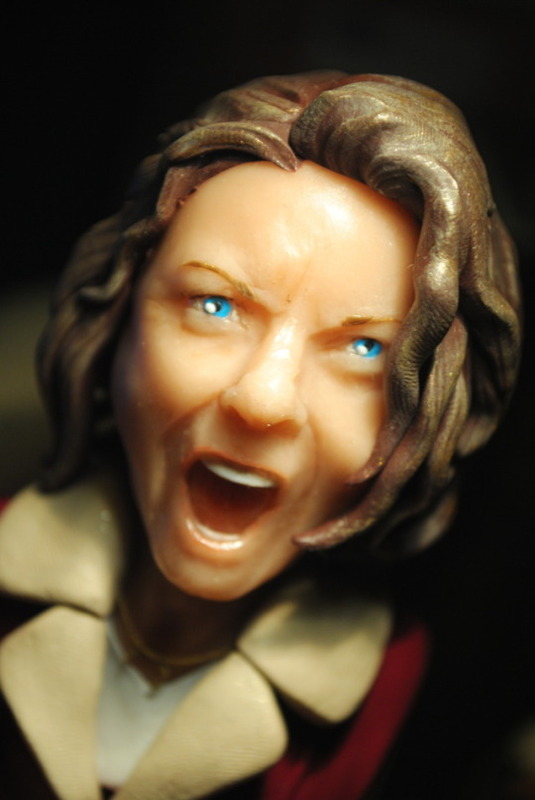 When something goes wrong with a sculpt like this I never know what to do. I want to upload the piece and show it off, but also say that something went wrong, I just worry it'd sound like I was making excuses! And secondly, going back in time with this one. 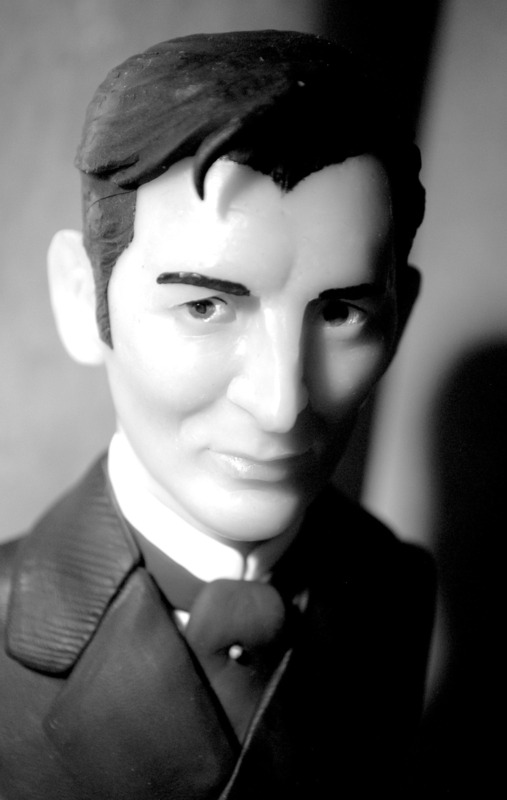 Gerald Harper as Adam Adamant from the BBC series "Adam Adamant Lives!" 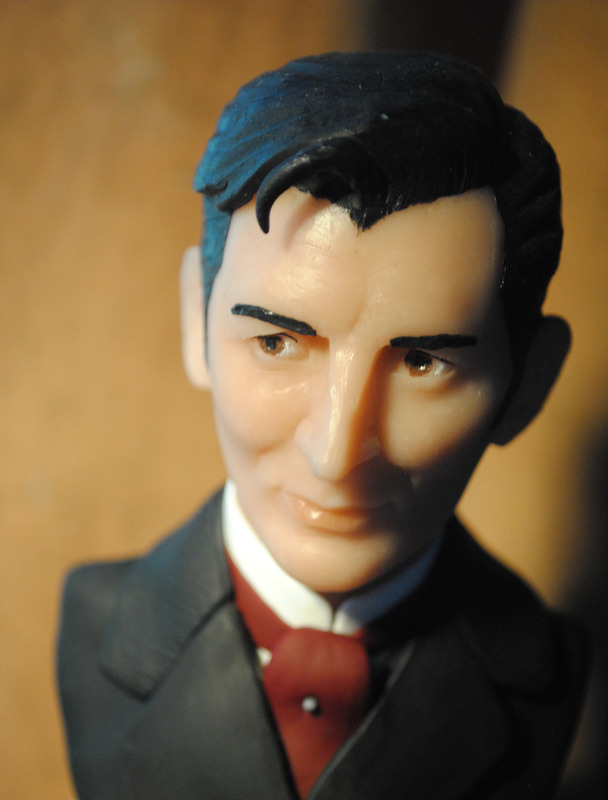 about an Edwardian gentleman adventurer frozen in a block of ice in 1902, then re-awoken in 1966 in swinging London. A fun series, if a little rubbish at the same time. I'm actually really happy with this piece. I think it came together very smartly. Like very much! Used to watch Adam Adamant as a kid and can still remember the theme tune. Memorable as one of the formative experiences that lead to my love of all things Sci-fi. A great theme tune, if a little wobbly, I'm glad he helped you on your way down that path. Very glad you like him too! Been a little busy with a couple commissions, in fact I might as well start there. 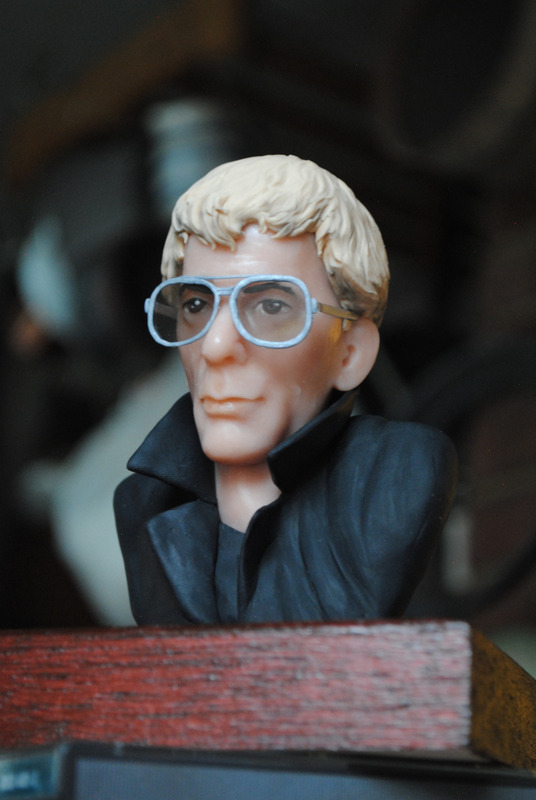 Got an email from a super fan who wanted a little bust of Lou Reed, which was good fun, if a bit of a challenge! The shades were great fun to make and really set the piece off nicely I think. The client seemed reasonably happy with it too. 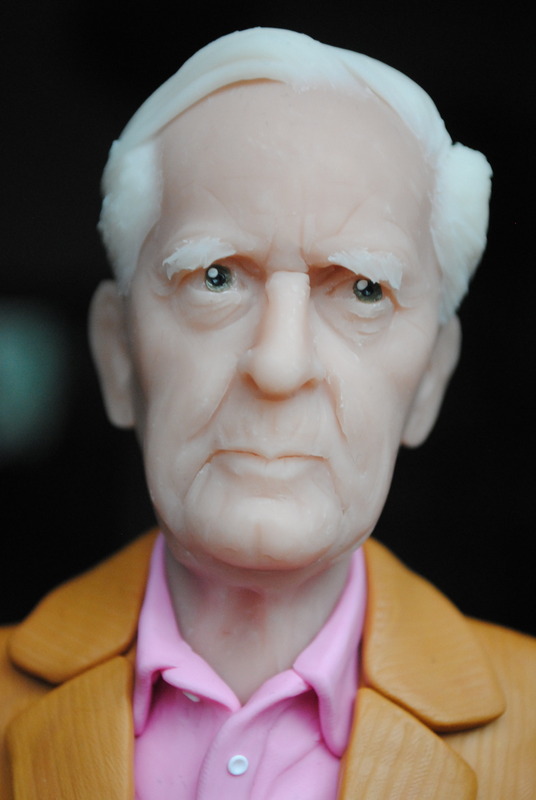 Next up, the novelist John le Carre. I've been a huge fan of his for several years now and was very lucky to see him give a rare speech and interview surrounding the release of his latest book "A Legacy of Spies"
He was fascinating to watch and I felt extremely lucky to be in his presence. 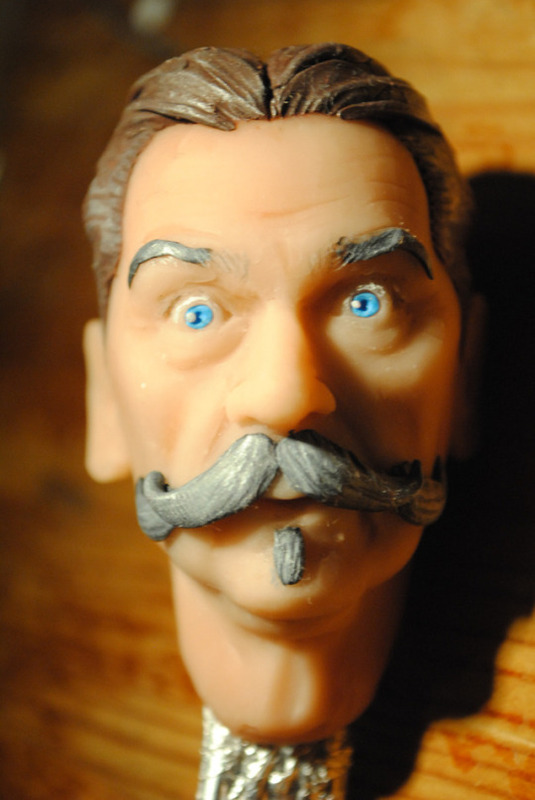 I felt inspired and decided to sculpt him again after my first attempt from a couple years back has since begun to look a little primitive. As I get older, he becomes an increasingly steady figure of intelligence, reason and reassurance in this wild age. I'm actually, rather surprisingly, extremely happy with how it turned out and decided against refining the details with paint or whathaveyou. I thought the simplicity could speak for itself. You've brilliantly captured his thoughtful expression, excellent as per usual. I would like to share my Fimo clay characters in a stop motion film, 'zey the mouse' new characters include, 'Claus Crocodile' in a raincoat, 'P.C Bulldog', 'Teddy', a 'black mouse' with electric blue hair, and 'Mr. Scottie' the dog and also 'Mr. Bear' all with hand made clothes, the animation is set in London with hand made sets. Your work is so charming and you've put so much work into everything. Wonderful. I actually studied animation for four years and stop motion was very much my thing. Unfortunately it's not really for me these days, but given the time and equipment etc, I would love to get back into it with an idea I have. My little student films are here if you fancy a look! Hello all. Couple bits for you. Recently finished a new commission, another Lou Reed, this time based on the cover for the album "Sally Can't Dance"
And secondly something I started a while go and finished only the other week. 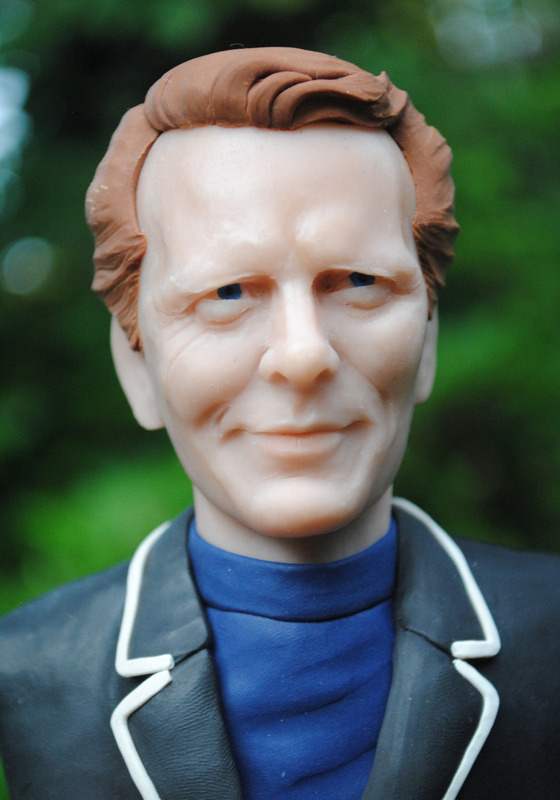 Today being the 50th Anniversary of The Prisoner, here is Patrick McGoohan who starred and pretty much created the show. A bizarre show, but I love it to bits. the planes, also the mini music box was great. Hi Ian, thank you very much. I haven't animated in a long time. I still have ideas and thoughts, but my heart is now in straight forward sculpting and radio stuff. One day I'll get back to animation! I'm very glad you liked Mr Prigley, it seems very popular even now! Funnily enough the bits you mention are bits I pretty much had no hand in beyond designing and building. I made the character of Mr Prigley myself, the chair was made by a member of the team working on the film, and the arial shots of the planes were designed by another team member- but actually yeah, the box was me primarily. A real team effort, and I'm glad everyone got noticed! 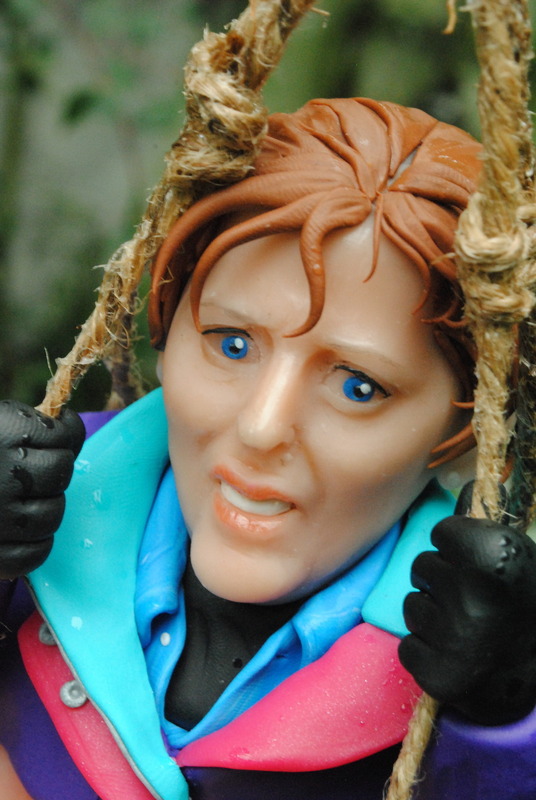 I'm extremely glad you like the sculpt of Gillian Anderson. She has a face that I still feel I haven't properly captured yet and I know I will return to her very soon. So! I've been away for a while, for one reason or another! But I haven't been idle. 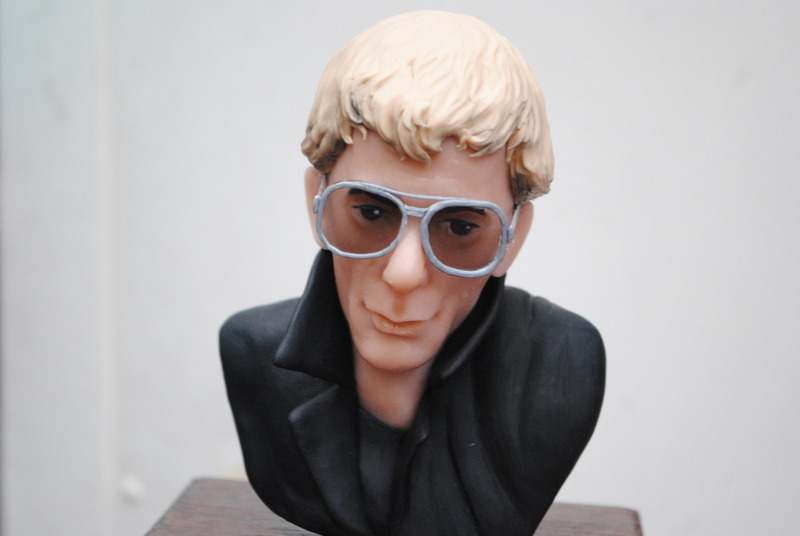 I had another commission from the guy who asked me to make a couple Lou Reed pieces, this time it was a David Bowie, which was a huge bit of fun as someone who's sculpted him many times. 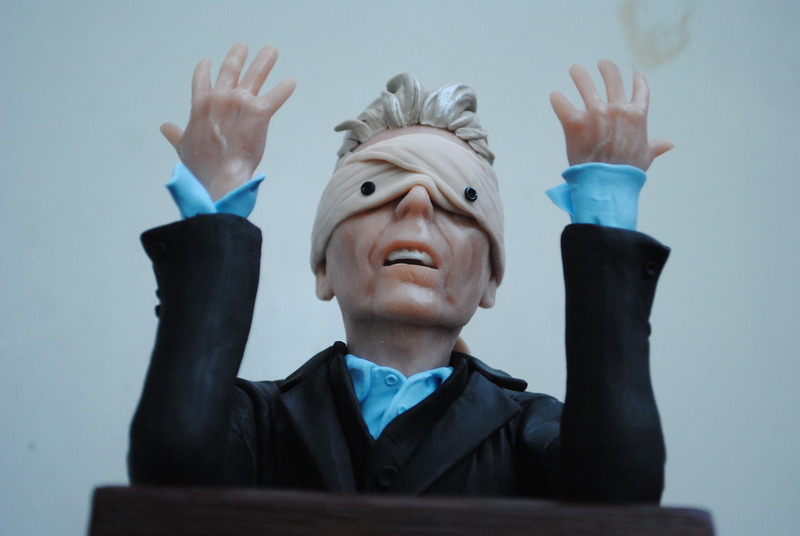 This time it was Bowie as he appeared in the video for Blackstar, and something I had planned to make before he sadly passed. One detail that at the time bugged me a little was the fact that the guy who commissioned me has a Bowie sculpture in his collection which is a large interpretation of the Diamond Dogs album cover (Half man-half dog Bowie), now this sculpture is imposing and large and in a nice glass case, the guy said he knows a guy who knows Bowie and sent a picture of the model to the man himself (Getting "the ****'s too small) as an official response from Bowie. 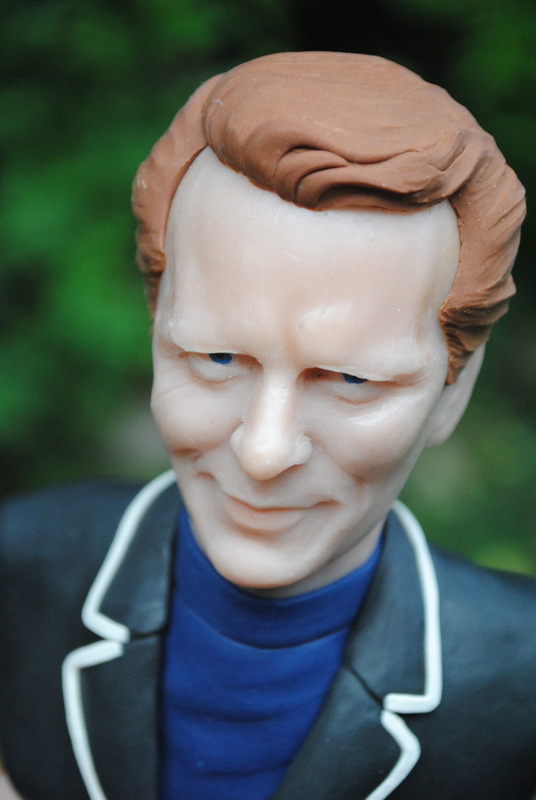 At the time it bugged me that if only this guy had found me sooner my work might have even been seen by Bowie himself! Since then, I've jokingly said this and the guy has said "Oh yes, he'd have seen it" which makes me feel rather content, that it would have happened, and I no doubt would have got a great esoteric verdict on my work. Oh well. You have to take the positives when you can get them! Bit of a sketch really. 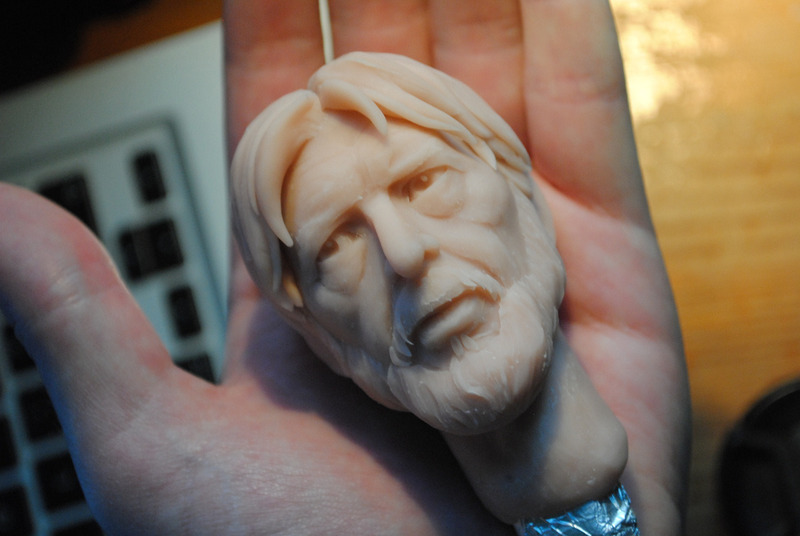 I was working on a sculpt of Harrison Ford in his more frazzled bearded state but never found the energy to complete it. I think it works though. I'm a huge fan of the Doctor Who actor Jon Pertwee, and as such really love the work of his son Sean who has a strikingly similar face and voice. 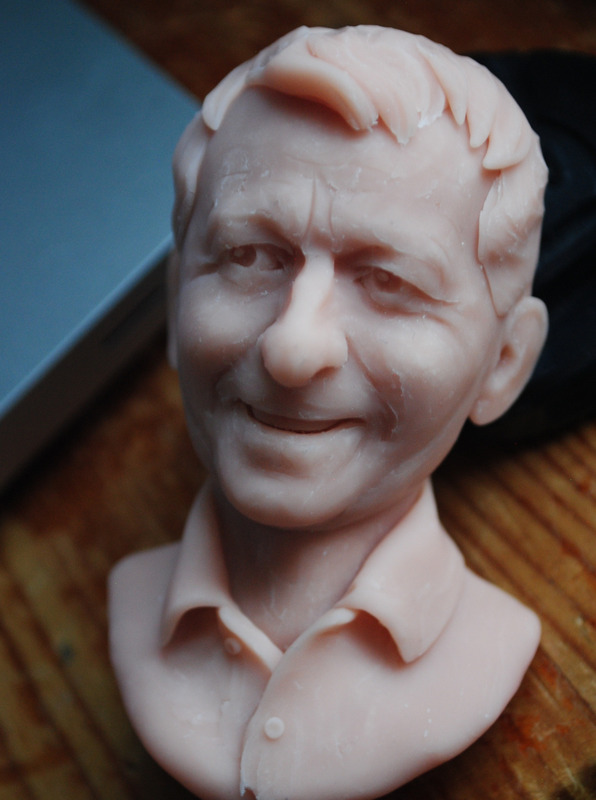 I've always meant to sculpt Sean and finally found some time to do it. 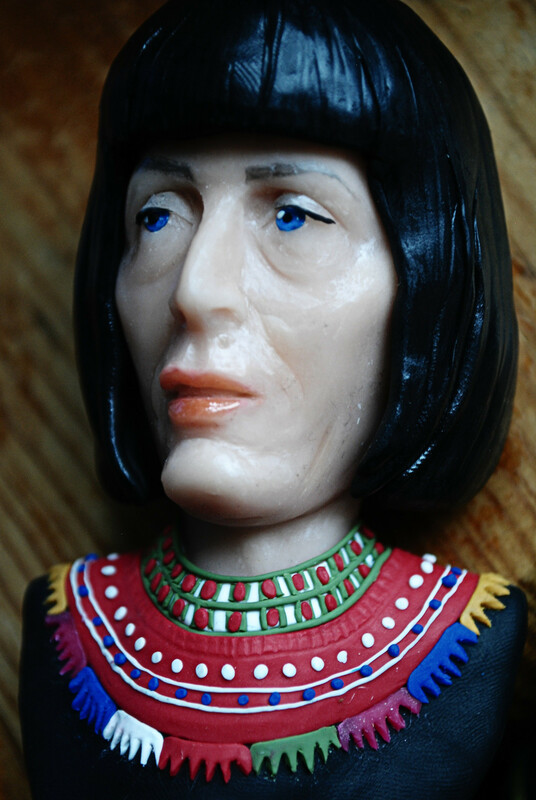 I think it came out rather well- as did Sean himself, who shared it on his Instagram and made a joke about how they'd found the heads of the Elgin marbles statues. 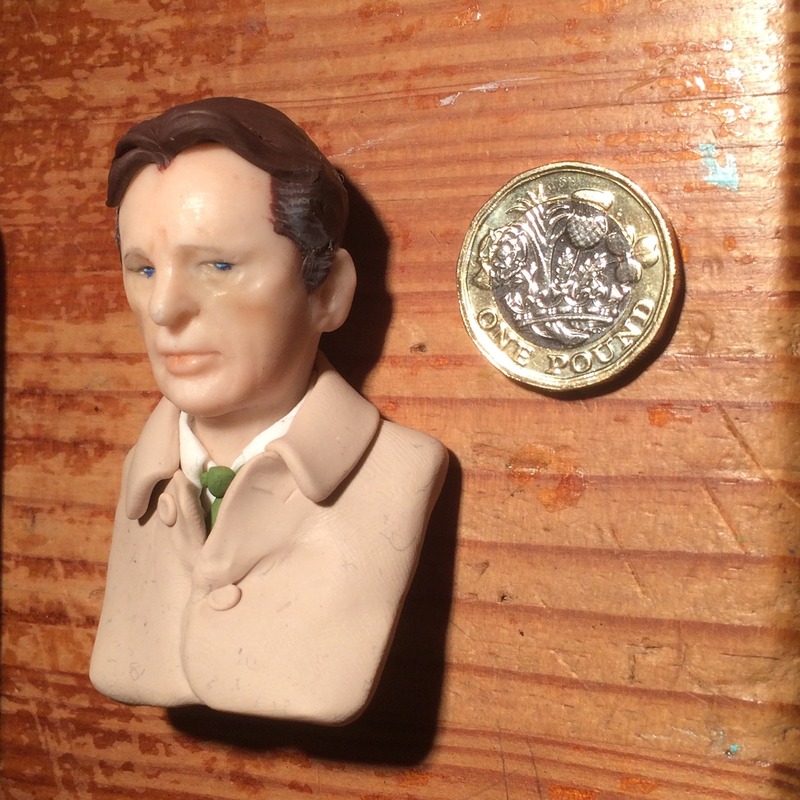 And as if by coincidence, here is my latest sculpted attempt at Gillian Anderson. This time as her character Magda from Agatha Christie's Crooked House. It came together nicely, and definitely a more solid step in the right direction in terms of getting her likeness, but a long way to go yet. And now we move on to what may well be one of my favourite pieces I have ever made. Millie Bobby Brown as Eleven/Jane from the second series of Stranger Things. This was an exhausting piece to make because I had already tried a version of her just before this and it did not work at all and gave me a great feeling of disappointment. So I approached it from a different angle and tried a different look and this is what happened. The main problem came from the fact she is so young and so has no great distinguishing features to hook on to, but I think I caught something of her and I'm extremely happy with it, and how it photographed. Next up was a decided shift down in scale. 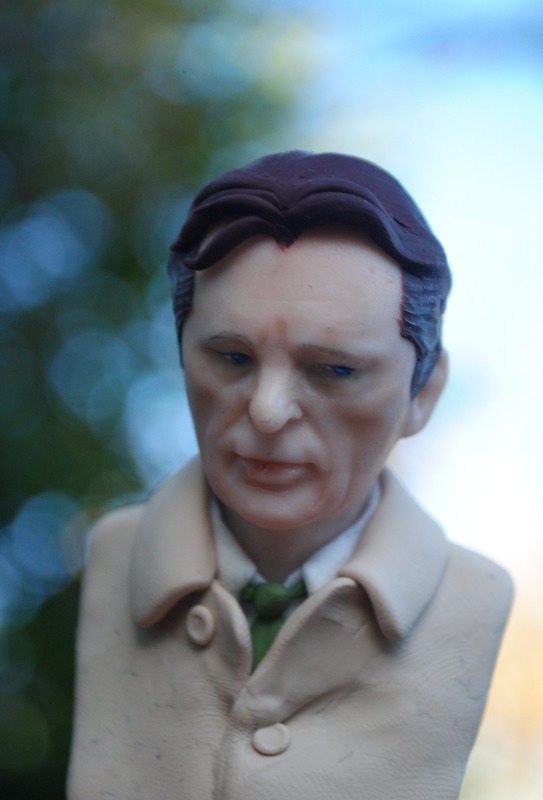 As previously mentioned somewhere in this thread, I am a huge fan of John Le Carre and really love the film adaptation of The Spy Who Came in from the Cold starring Richard Burton, and Burton is one of my favourite actors, so I thought it was a good excuse to try something different. For sense of scale, here it is next to a £1 coin. I really really enjoyed Pearl Mackie as Bill Potts, the latest Doctor Who companion and think that she might well be my favourite. She has a wonderfully expression face with superb eyebrows and I knew I wanted to try her again after my first attempt which didn't quite tick the box for me. This one works much better in my opinion, even if the shoulders and torso are a little underwhelming. Bit of fun this one. Kenneth Branagh as Hercule Poirot from his lavish if a bit dull version of Agatha Christie's Murder on the Orient Express. I kind of lost steam on this one and left it as I felt it wasn't going in the right direction, but in hindsight I think its rather fun and has a lot of his energy in it. I adored the third series of Twin Peaks and couldn't think of anything else whilst it was on, and I really wanted to make something to mark it's end and people who have watched it will know what this represents. Sheryl Lee as Laura Palmer. 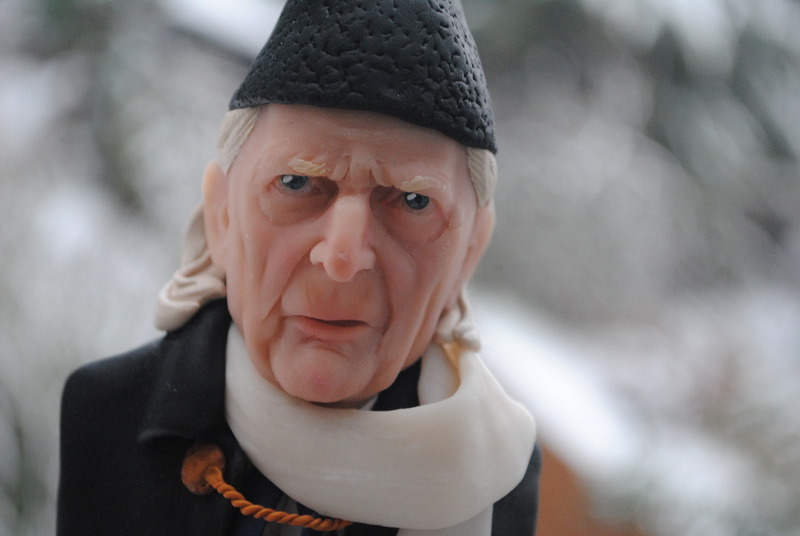 David Bradley as the First Doctor Who as he appeared in Peter Capaldi's final outing as the Twelfth Doctor. 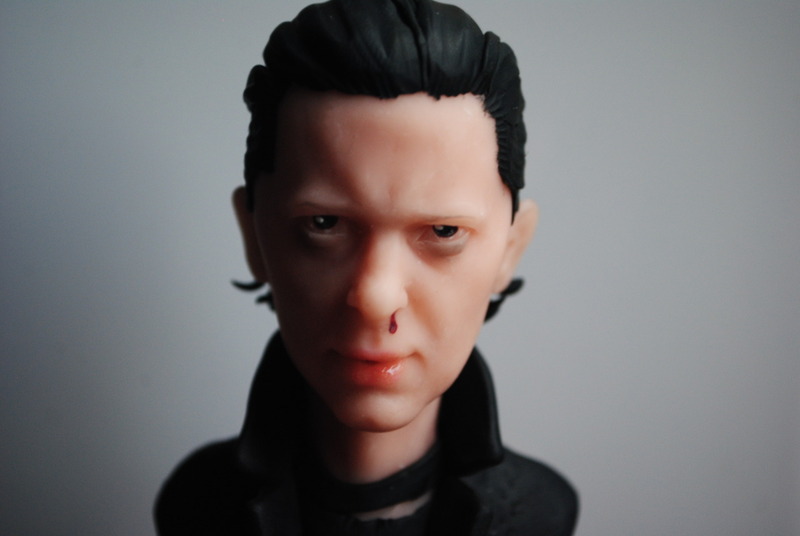 I think this piece came out extremely well, and like the Millie Bobby Brown piece, could well be one of my favourite sculptures I've ever made.